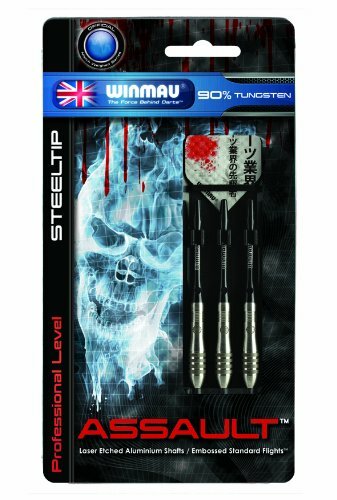 Winmau is a renowned company with a 70-year long tradition. Their dartboards are used at professional dart championships and exclusively endorsed by the British Darts Organisation for over four decades. The Winmau products are sold in over 70 countries worldwide. 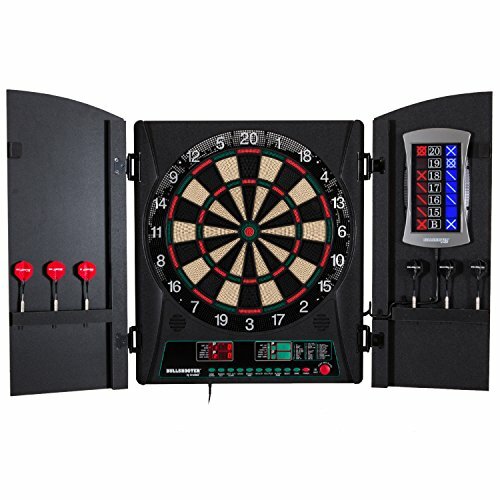 All their dartboards comply with strict World Darts Federation specifications. The Winmau World Masters is one of the Championships with the longest tradition, but the company is also famous for sponsoring numerous champions such as Dennis Priestley, Ted Hankey, Andy Fordham, and many more USA and international players. The fame of the Winmau company has not been achieved when Winmau Blade 5 was launched. 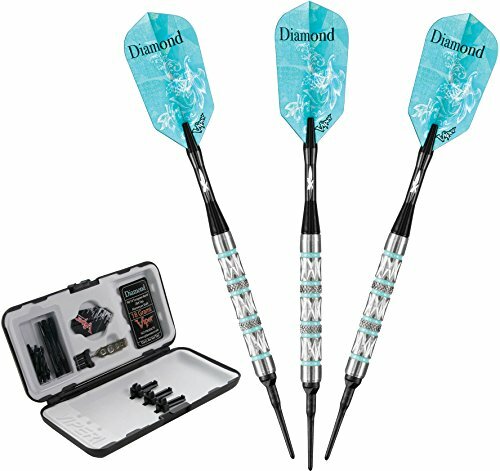 Winmau Blade 4 was long considered the best and had numerous fans all across the globe. 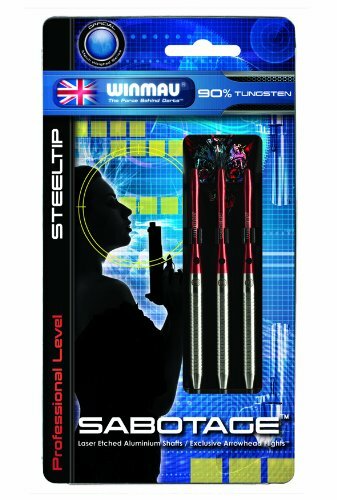 Many tried to surpass its excellence but failed until its creator, the Winmau company, decided to give it a try too. First of all, the new Blade series has a reduced profile, thinner wires as well as higher scoring area. 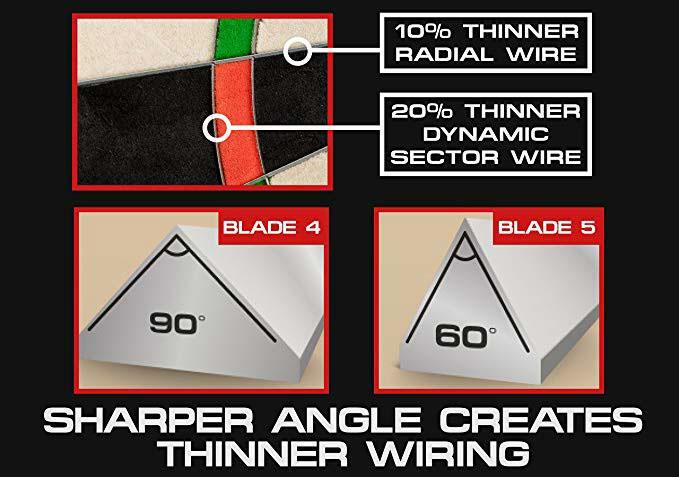 The Winmau Blade 4 featured a triangular wiring profile of 90 degrees and its point faced outward. Such wiring system aimed to keep the darts embedded into the board and reduce bounce outs. 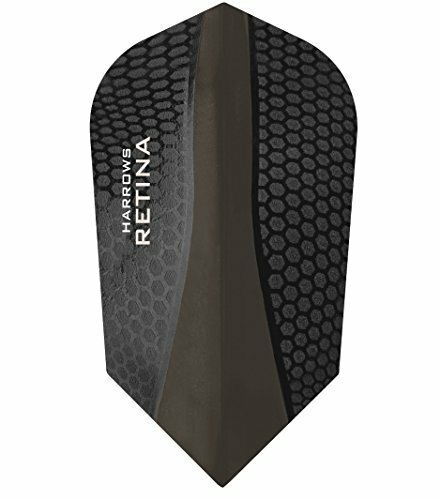 Winmau Blade 5 has further reduced angle to 60 degrees and thus the chances that your dart will bounce out is even smaller too. The Winmau Blade 5 has reduced the Dynamic Sector Wire (DSM) as well. This wire, which forms concentric rings around the bullseye, saw a thickness reduction by 20%. The radial wire is also thinner by 10%. In this way, Winmau company continued its tradition of consistent improvement. 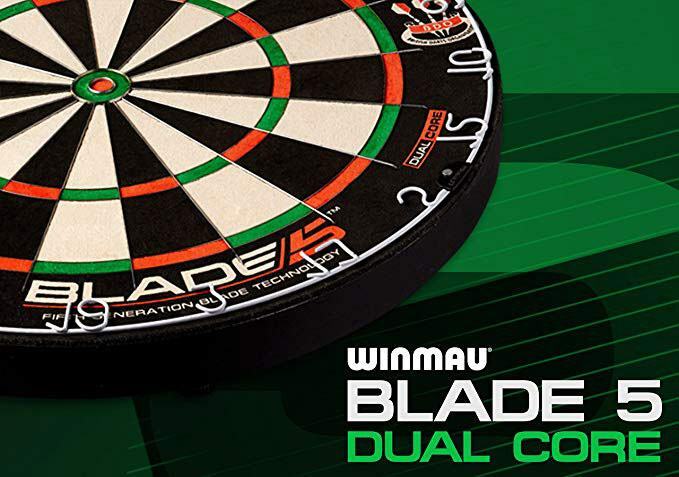 Namely Winmau Blade 4 features a wire profile which is 50% thinner from its predecessor Blade 3. Your chances of scoring are consequently better as well. You are more likely to hit the double or treble. Thanks to this innovative technology you are granted 9mm2 of the extra scoring area in doubles as well as 6mm2 of the additional scoring area in trebles. 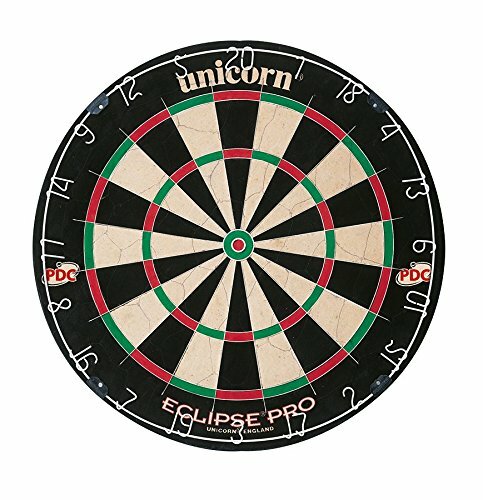 Winmau Blade 5 bristle dartboard has a standard size dart area, with a regulation 18-inch diameter /13.5-inch target area, and 1.5-inch depth. The dimensions of Winmau Blade 5 amount to 45 x 45 x 3.8 cm / 17.7 x 17.7 x 1.5 inches (HxWxD), and it weighs 4.79 kg/ 10.56 pounds. Winmau Blade 5 is definitely not the most massive model out there, but that is a good thing as that enables you to hang it firmly on your wall- trouble free! 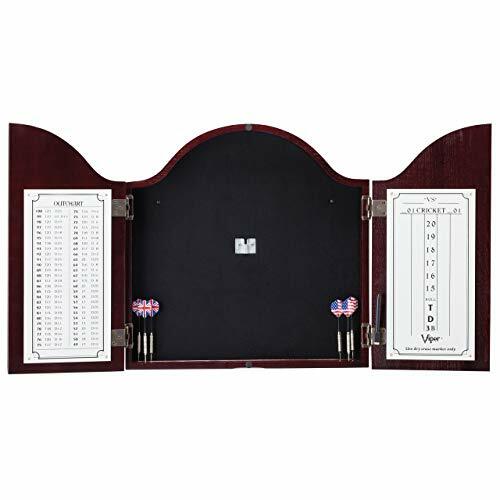 The dimensions make this dartboard versatile too- it will suit your playroom or a man cave as well as any bar or tournament venue. Winmau Blade 5 Bristle Dartboard adjusted the scoring area to guarantee your greatest scoring potential. How did they achieve this? 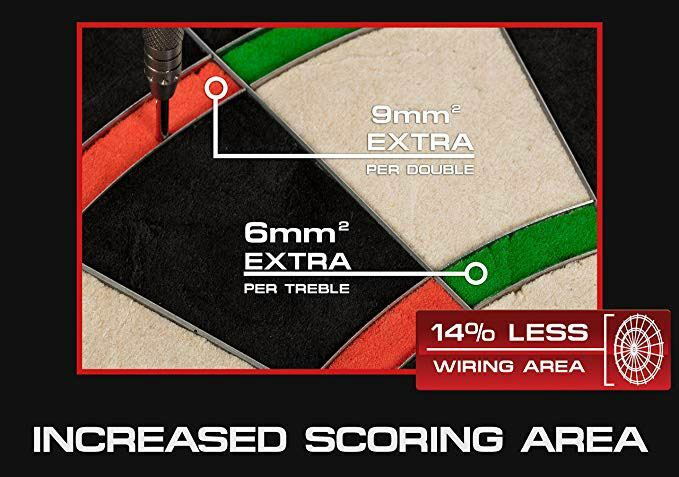 They have reduced the web surface area by 14% (in comparison to Winmau Blade 4). This upgrade increases scoring potential but paired with the improved wiring we are about to discuss in the following section it guarantees a better overall score count as well. Winmau is famous for pushing the boundaries in the dartboard industry and the new technology of their dartboards wiring proves that. Thanks to this innovative technology you are granted 9mm2 of the extra scoring area in doubles as well as 6mm2 of the additional scoring area in trebles. 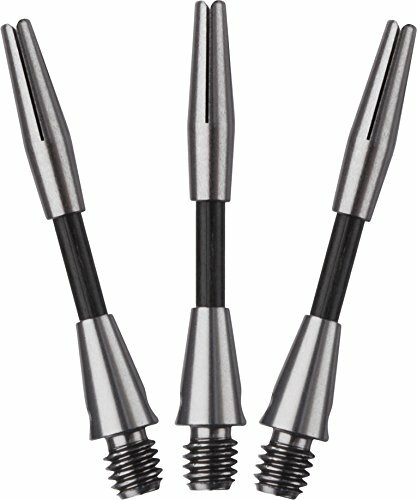 Moreover, Winmau Blade 5 bristle dartboard optimized the razor wire angle and thus reduced the blades by 30 deg. The dynamic wire segment of the board is thinner by 20% while the radial wires are thinner by 10%. Such wiring not only increases dart deflection in the bed of score but also reduces dart bounce. 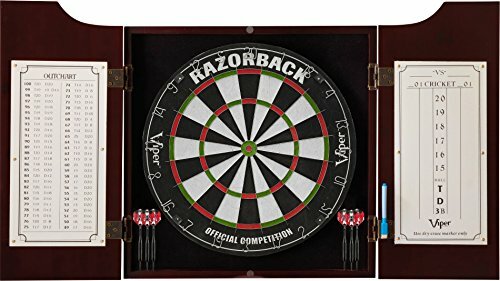 Of course, the dart bounce-outs cannot be entirely eradicated, but they will surely be decreased if you throw at this bristle dartboard. Being a bristle dartboard, Winmau Blade 5 honors the tradition: It is made from the sisal fiber. The sisal fiber is the number one choice as it is not only strong and durable but also flexible and resistant to corrosion and humidity. For this particular dartboard, Winmau has chosen the densely packed East African sisal of the highest quality. 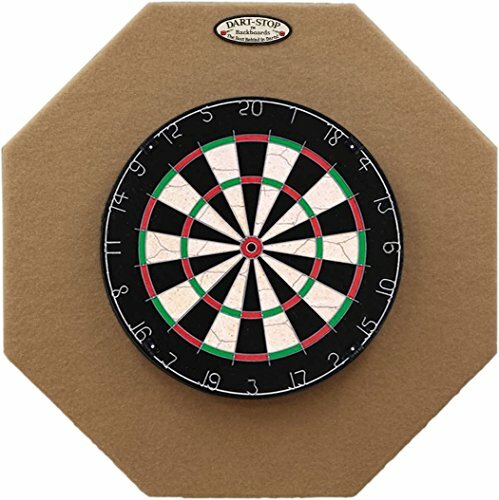 The sisal fibers on this dartboard are very tight and have incredible tensile strength- consequently, all the holes your darts make will disappear as soon as you remove them. Therefore, you are sure to enjoy years of use with little to no wear to your Winmau 5 dartboard. 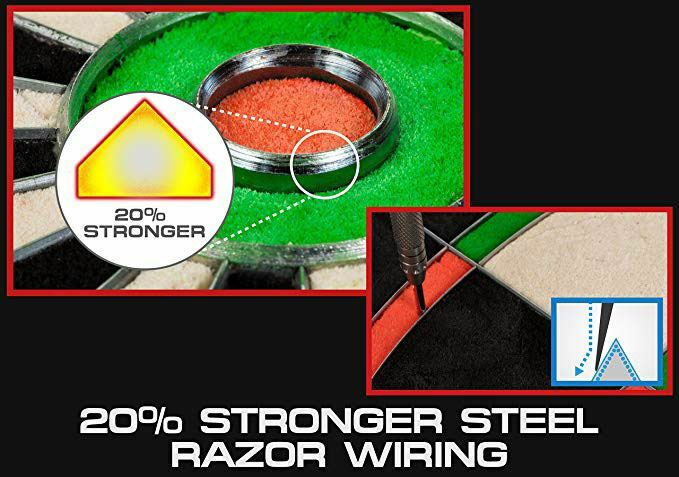 The Winmau masterminds increased the tensile strength of the wiring by 20% and improved material strength by using the carbon diffused wires. 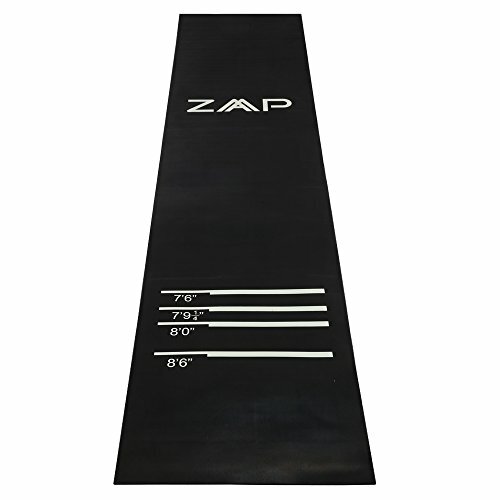 As a result, you have an ultra-hard surface that prevents deformation as well as improves player performance. All the best bristle dartboards feature a well thought of mounting bracket, and Winmau Blade 5 is no exception to this rule. The so-called “Rota-Lock Advantage” system has a triple wheel lock and level kit that allows for perfect radial alignment as well as smooth board rotation. To achieve ideal balance, you can individually adjust each radial-lock wheel; this means that you can make your dartboard 100% stable on uneven surfaces too. Once you lock the radial wheels in the desired position, your board will not move an inch. If you are a dart enthusiast, you probably already know that you need to rotate the dartboard regularly. Such maintenance will prevent the wear and tear of the sisal surface. Winmau Blade 5 has made this easier too- just remove the number ring, rotate and then reposition the number ring back to its place. No need to remove or readjust the whole dartboard, superb isn't it? The finishing appears to be flawless, and you can feel that when you touch the dartboard surface. Due to the highest quality sisal, the colors are vivid. It is not only aesthetics, but you will also have better chances of scoring high. 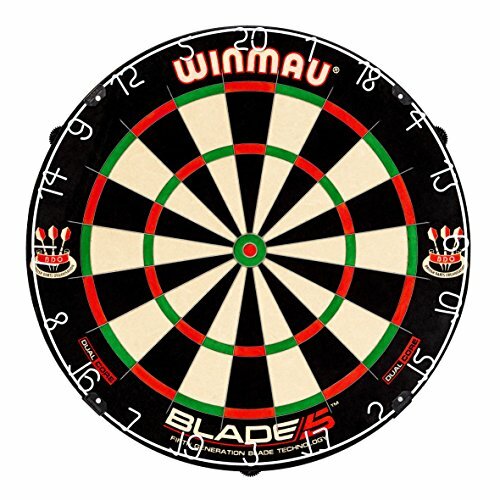 Unfortunately, the Winmau Blade 5 board does not come with any extras; not even the darts are included. On the bright side, the package includes all the hardware you need to set up the board. 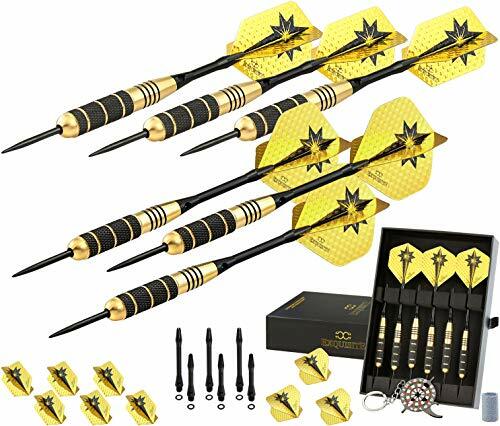 If you ask me, I would highly recommend Winmau Assault 90% Tungsten Professional Level Steel Tip Darts or Winmau Sabotage 90% Tungsten Alloy Professional Level Steel Tip Darts to go with your Winmau blade 5 dartboard. Considering the quality of the workmanship and excellent performance the cost of Winmau Blade 5 is more than reasonable. Do not forget the fact that this board is approved by the World Darts Federation as well as endorsed by the British Darts Organization. 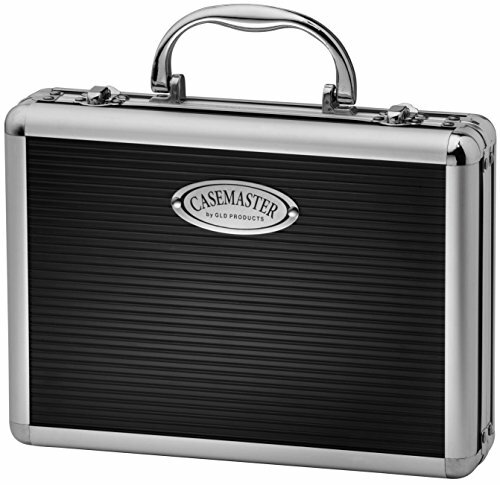 It can be used by amateurs and professionals alike. 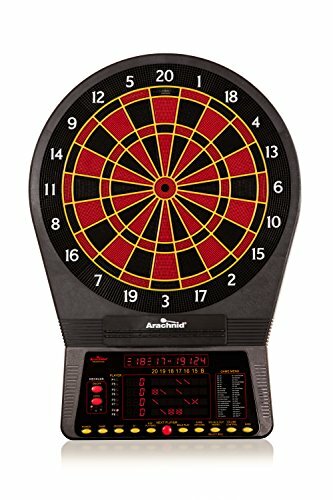 If you are new to darts, this board will surely make you fall in love with this game. If you are a veteran, you probably already know the perks of using such a renowned board. In any case, you deserve the best, and Winmau Blade 5 dartboard is one of the best dartboards in a very fierce competition. 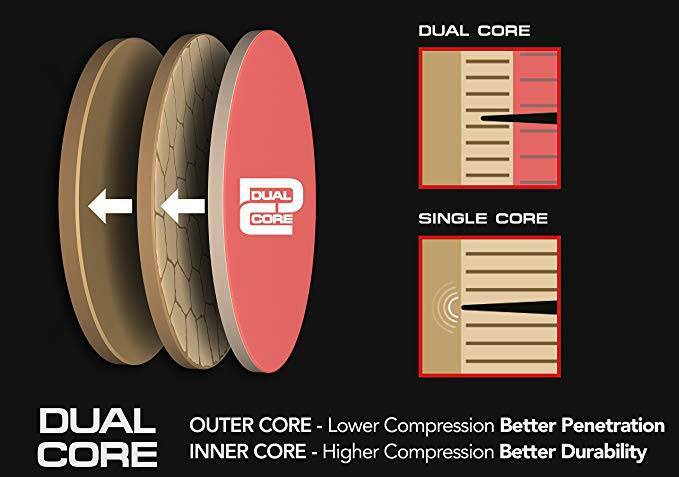 If you are a professional player you should consider Winmau Blade 5 Dual Core. 14% less wire in the web surface area. 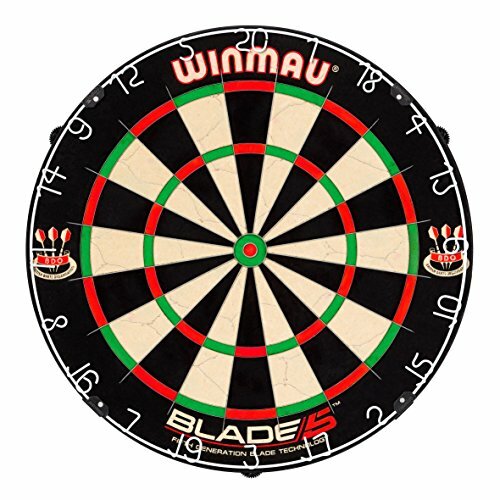 Winmau Blade 5 does not need me or anyone else to sing its praises, it has been around for quite some time now, and it has built its reputation - a good one, of course! I do not think that you can find a better deal if you consider what you get for the money you pay. Winmau Blade 5 bristle dartboard is worth every penny! The entire Blade series of dartboards has been a success and has revolutionized the game of darts. Winmau Blade 5 is a crown of that success!